Sometimes it is hard to get the best drone gift for your kid. It’s his birthday, or you just want to surprise him with something awesome. Well… a drone could be the answer. The only problem is that it is difficult to get something that your kid will fully enjoy. 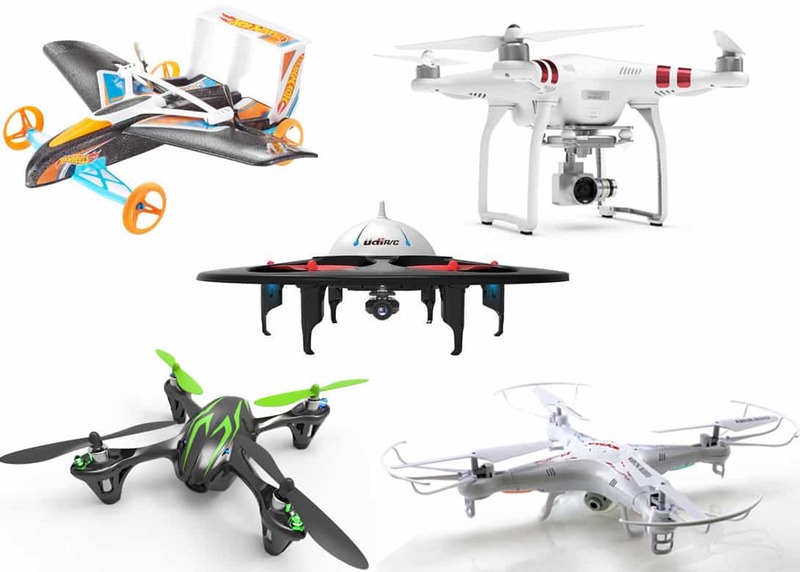 So I will make a short list with the Best Drones for Kids that I think will be most suitable for certain situations. Sometimes quality will be of less concern than functionality (or looks), so keep that in mind while you read through the list with the Best Drones for Kids. This one is quite obvious. Hot Wheels is a brand that is well known by kids and they love it. 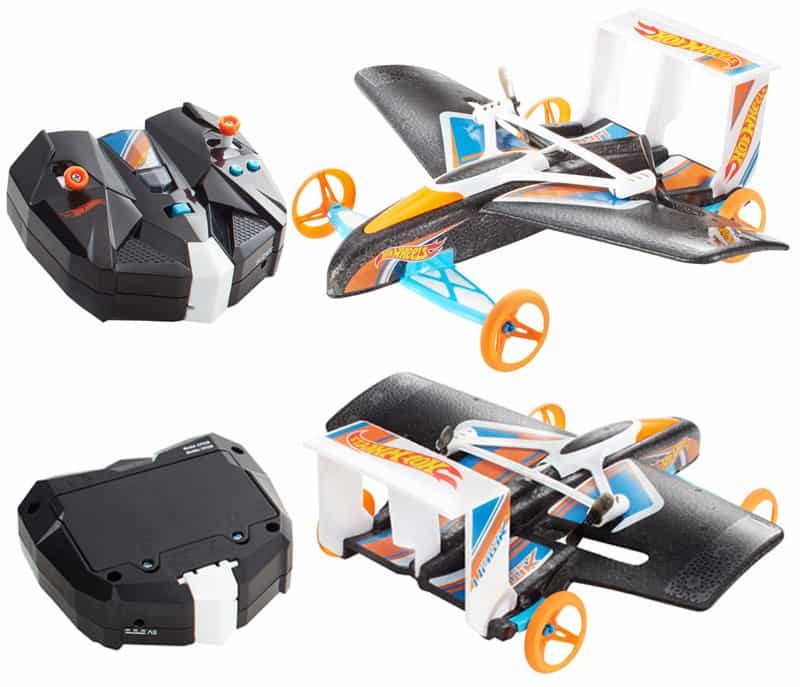 The quality of this drone may not be the best, but it can surely make your kid happy with its cool looks and car/plane combination. 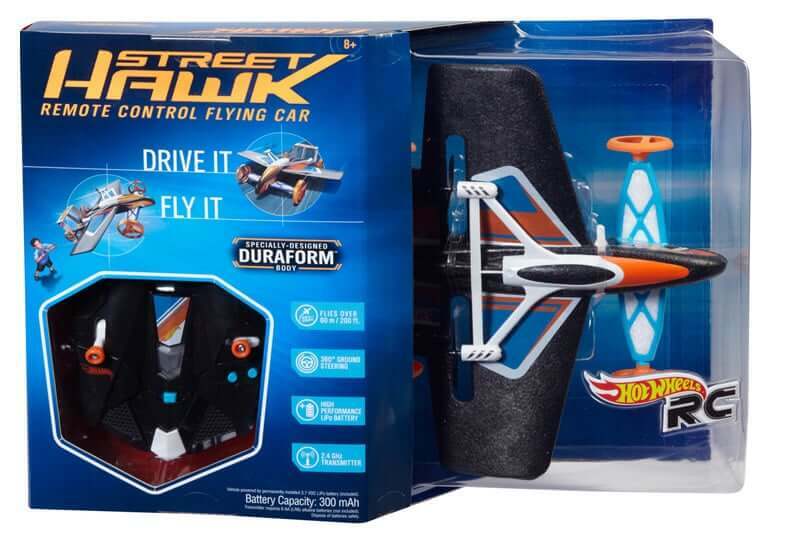 The Street Hawk is good for beginners and you can afford some crashes because it is completely made out of foam and you can change your propellers quite easily. The main con with this drone is that some pieces can come off during flight if you did not build it properly. The Syma X5C is quite affordable and it also has an HD camera. That is a big plus for that price it has. It has a 3.7V 500mAh Li-Po battery, a 100 minute charge, it weighs 2.1 pounds and it is made out of plastic. The LED remote and lights make this thing pretty good for night flight. The camera has 2MP and you can take some decent shots. So if you have a kid that is into pictures or filming, this can be a good acquisition. To be noted though, this drone is for people who are at an intermediate flying level. So if your kid doesn’t know anything about that, you should try and supervise him until he knows what he’s doing. 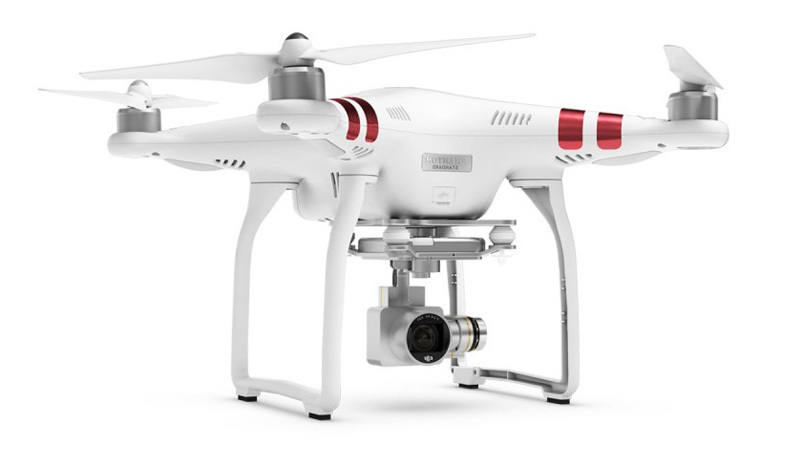 DJI Phantom is a known quadcopter, so it gets points in the quality department. It has some safety features, but this drone isn’t exactly for beginners. The starting age would be 14+. Having that said, the DJI Phantom 3 is a very good drone and it has dropped in price a lot since it has been released because of the new DJI Phantom 4. So you can get good quality at a decent price for your kid. It has a 25 minute flight time and a 2.7K HD camera that is just amazing. So if you want quality and your kid wants to experiment with shooting pictures and videos from high above, then I highly recommend this one. This is a perfect example for a beginner friendly drone. 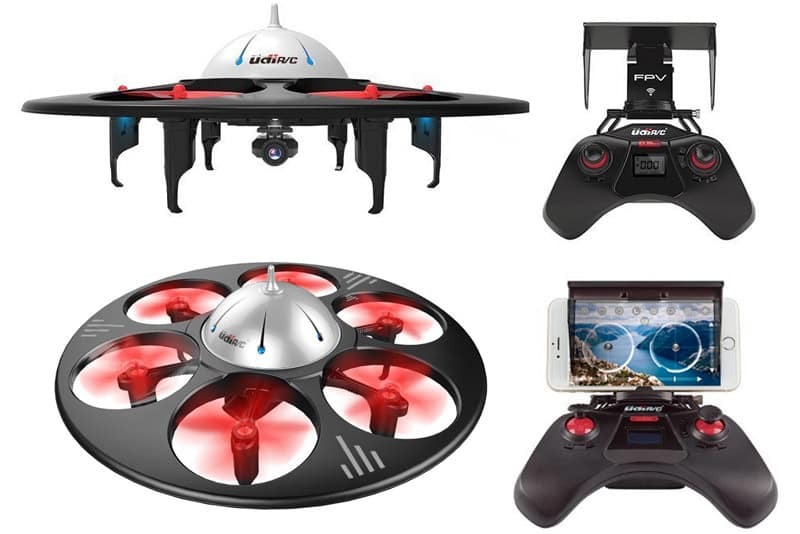 The U845 is a small drone and it has a kid-friendly design with precision controls that make it really good for new pilots. Its atteries are removable and it can fly around 8 minutes. 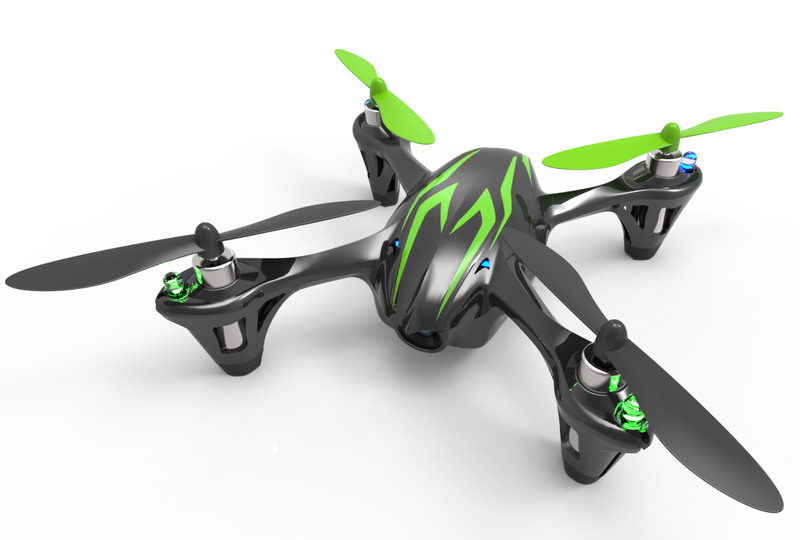 Which is quite nice for a little drone and it is also pretty low priced. This can be a safe bet if you want to buy a cool drone with safety for your kid in mind. Well, this is for the people that are on a budget and want a bit of everything for their kid. 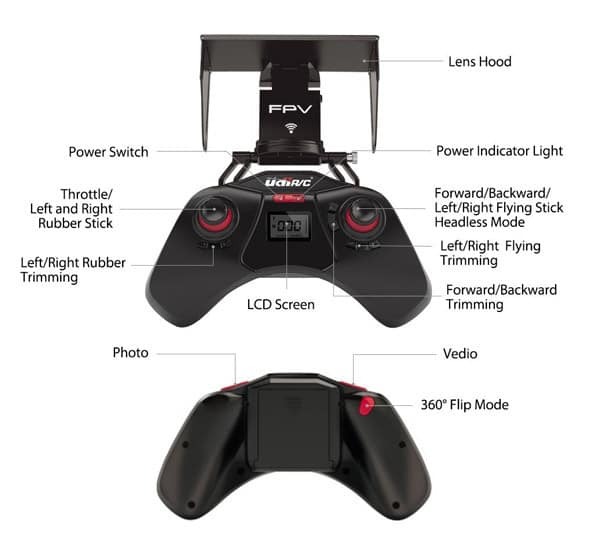 At around $40 you get the latest 6-axis flight control system that has adjustable gyro sensitivity in order to give more control over the drone when your kid learns to fly it. It has a 0.3MP camera that can do some video recording and that’s a nice feature to have even though it is not that good. 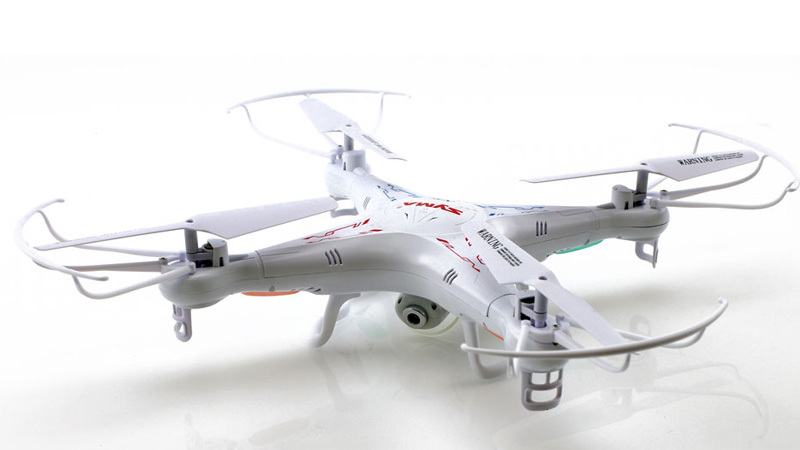 The looks and the size of this drone make it a good choice for your kid and it is all at a really low price. Nothing to lose here. If you want to make your kid a cool drone gift, I think this list with the Best Drones for Kids should be enough to start at least. You have drones from the low-end to the mid-range to choose from. You can buy even more expensive drones for your kid, but is it worth it? That depends on the age and the experience your child has. So if you want to buy something professional (age over 16), then you can take a look at the DJI Phantom 4. I hope this article was helpful to you.